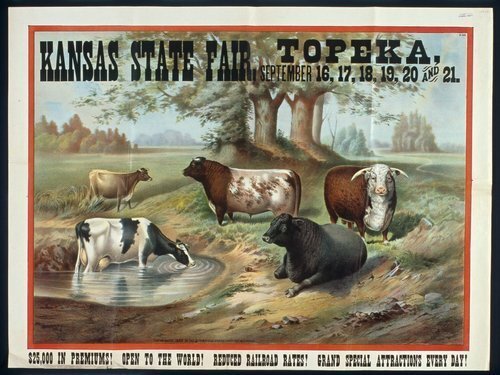 A poster advertising the Kansas State Fair in Topeka, Kansas. The poster includes an illustration of cattle grazing. The poster announces $25,000 in premiums, reduced rail rates, and grand attractions each day.